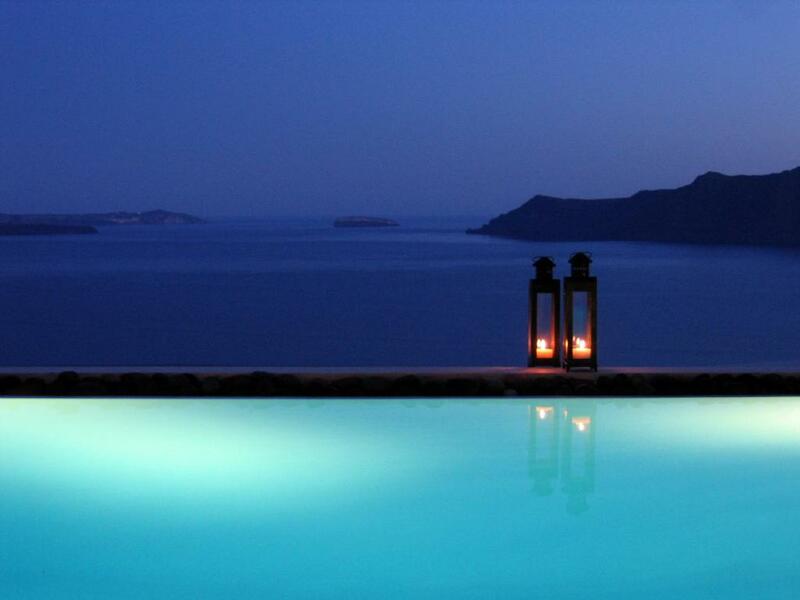 Offering panoramic views over the Caldera and the volcano, Grand Canava is a restored 1868 canava carved into the volcanic rock of Oia. 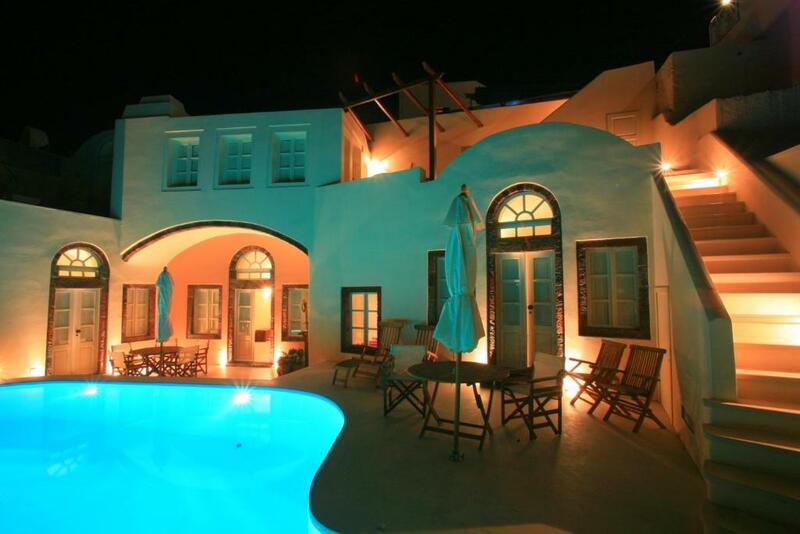 The traditional villa offers a private swimming pool with hydromassage facilities and a furnished sun terrace. 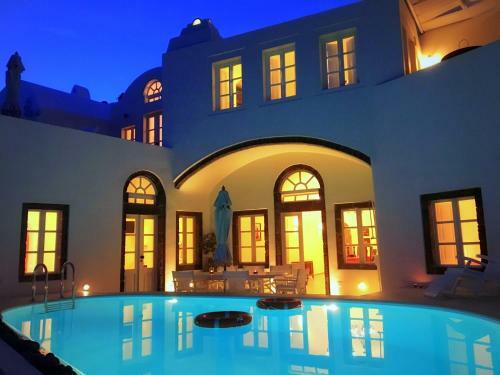 Fitted with vaulted ceilings curved in the volcanic rock, the villa is elegantly decorated with dark wooden furnishings, wrought-iron and built-in beds. An oven and a refrigerator can be found in the kitchen and there is a private bathroom with slippers, free toiletries and a hair dryer. A flat-screen TV with satellite channels is featured. Free laundry service is also available. 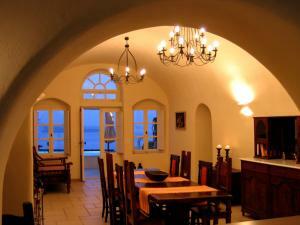 Cape Columbo Beach is 2.7 mi from Grand Canava, while Naval Museum of Oia is 1,300 feet away. The nearest airport is Thira Airport, 6.8 mi from Grand Canava. 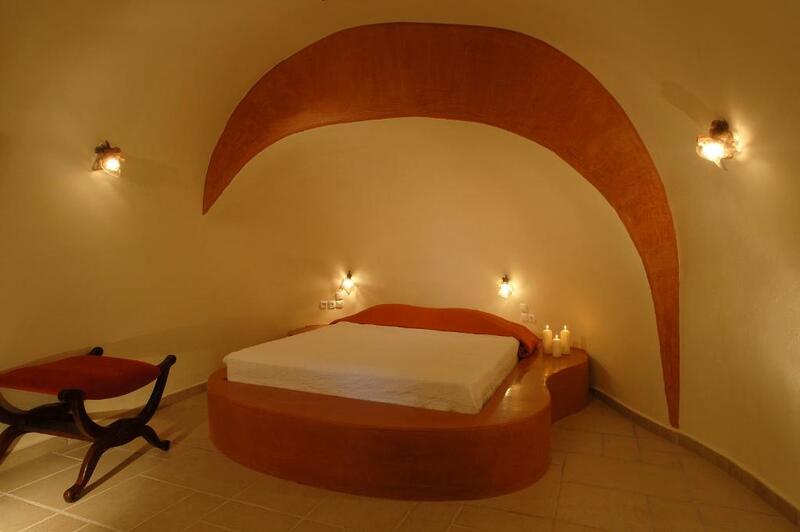 When would you like to stay at Grand Canava? This studio has a balcony, seating area and electric kettle. 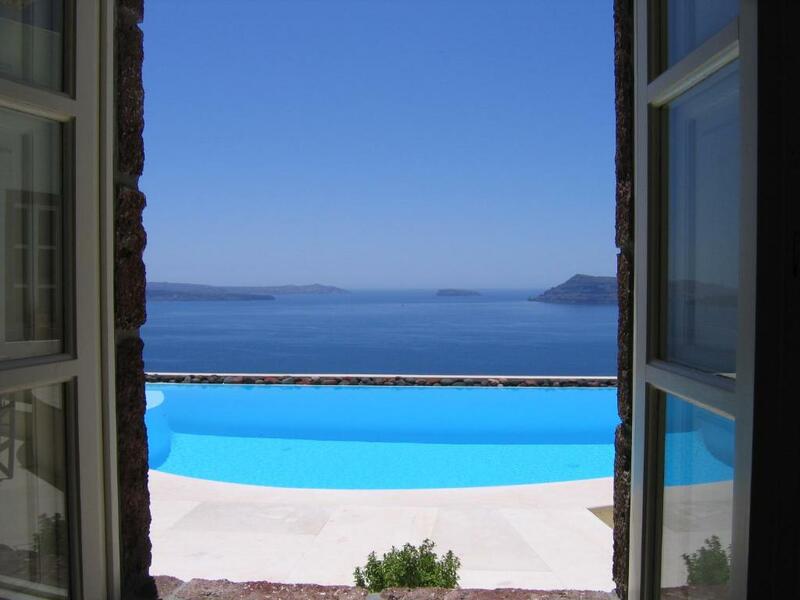 The villa is perched on the rock cliff of Oia, with unparalleled views of the volcano, deep blue sea and the island of Santorini itself. 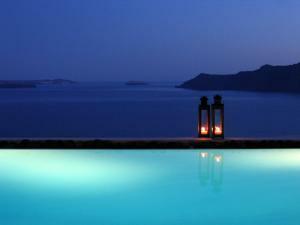 It is licenced by the Greek National Tourism Organisation with an award that marks the luxury standard. Stroll by the charming little shops, cafes, artist workshops. 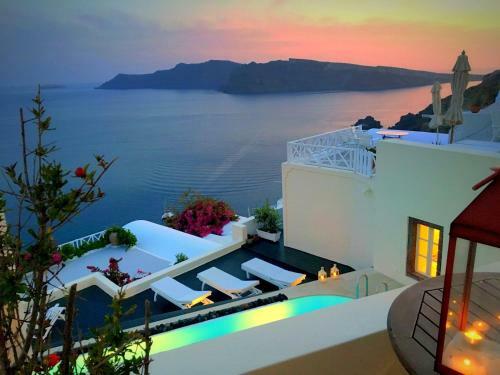 When you reach the tip of Oia you can stay and be charmed by the beautiful sunset by the castle ruins or if you feel restless continue 220 steps down the cobblestone route to Ammoudi. House Rules Grand Canava takes special requests – add in the next step! Grand Canava accepts these cards and reserves the right to temporarily hold an amount prior to arrival. 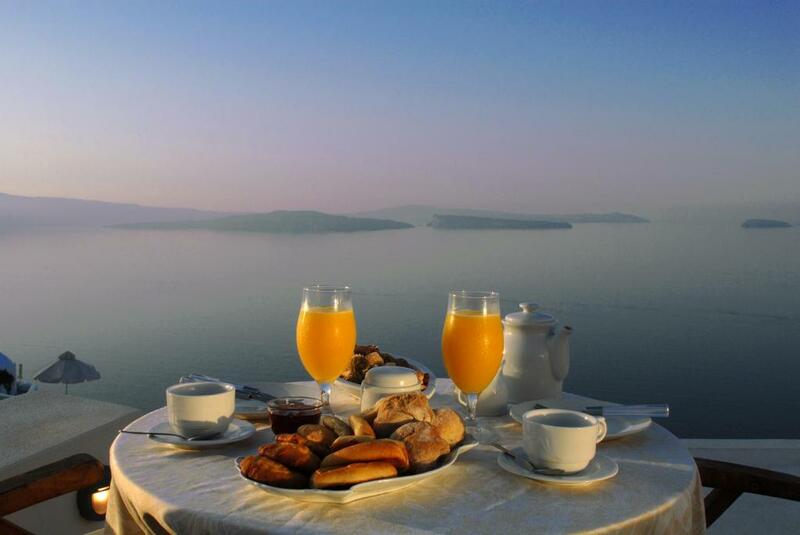 Please note that for breakfast-included rates, welcome wine is offered. Please inform Grand Canava of your expected arrival time in advance. You can use the Special Requests box when booking, or contact the property directly using the contact details in your confirmation. We need at least 5 reviews before we can calculate a review score. If you book and review your stay, you can help Grand Canava meet this goal.